The Department of Neurosurgery at the University Hospital Ulm offers the full range of surgical interventions for the treatment of diseases of the central and peripheral nervous system. The department is one of the largest medical institutions of this kind in Germany. The doctors of the department provide patients with the high-quality medical care of university level, and also take an active part in the experimental fundamental studies and clinical trials to develop new treatment methods. The Chief Physician of the department is Prof. Dr. med. Christian Rainer Wirtz. An important focus of the department’s ​​clinical activities is the treatment of brain tumors. In this case, surgeons set a task to completely remove the tumor and preserve all the brain functions. The department applies modern methods of intraoperative imaging using magnetic resonance tomography, ultrasound and intraoperative monitoring (function monitoring using electrodes or probes). Thanks to this high-tech equipment, doctors have the opportunity to see the exact tumor size and resect it targetedly without damaging the adjacent brain regions. After the treatment, great attention is paid to the monitoring of surgery results, regular diagnostic examinations in order to avoid relapse. 1980 - 1986 Study of Human Medicine at the Rhine-Westphalian Technical Aachen University. 1992 Doctoral thesis defense and title of Doctor of Medicine, Rhine-Westphalian Technical Aachen University. 1986 - 1987 One-year practice at the John Radcliffe Hospital, Oxford, and at the University Hospital Aachen. 1989 Starting of work as the Assistant Physician/Research Fellow in the Department of Neurosurgery at the University Hospital Heidelberg (Prof. Dr. med. S. Kunze). 1997 - 2005 Senior Physician in the Department of Neurosurgery at the University Hospital Heidelberg. 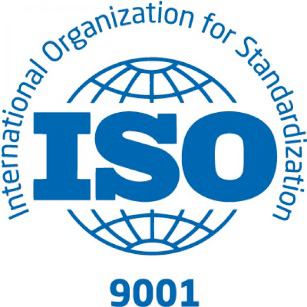 2001 Habilitation. Subject: "Surgical interventions using imaging systems in neurosurgery. Neuronavigation and intraoperative magnetic resonance imaging". 05.2005 Appointed as a Leading Senior Physician in the Department of Neurosurgery at the University Hospital Heidelberg. 19.09.2006 Visiting Professor, Heidelberg University. 01.09.2009 Head of the Department of Neurosurgery at the University Hospital Ulm. 2001 Educational prize of the Faculty of Medicine at the Heidelberg University. 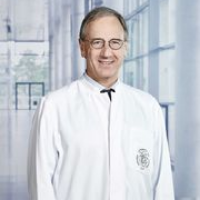 Since 2004, Deputy Head of the Scientific and Pedagogical Department at the Neurosurgical Academy of Education and Advanced Training of the German Society of Neurosurgery. 2001 Founding Member of the German Society for Computer- and Robot-Assisted Surgery (CURAC). Intraoperative navigation, neuronavigation, multimodal navigation. Intraoperative imaging with the help of MRI and intraoperative sonography.